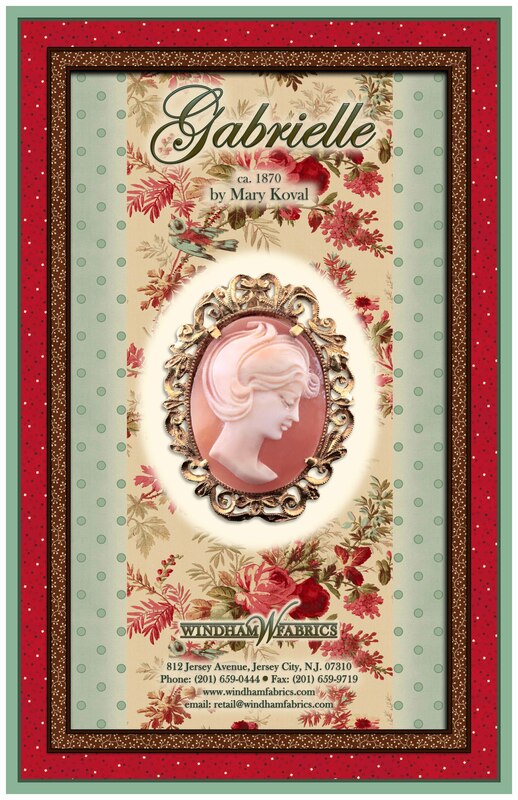 Today I had the opportunity to interview Mary Koval and ask her some questions about her newest collection, Gabrielle which is due in stores this month. Be sure to head over to your LQS and pick some up! Q: What was your inspiration for this collection? print. It was perfect in color and in design and I didn't have to change anything. today's quilts. Every design and color was chosen to make a wonderful quilt. birds on the fabric. Not the same fabric but the same style and size of birds. Q: What is the hardest part of designing fabric? end, it is always perfect and we are all happy with the choices. Q: What is something you want people to know about you? Starting Tuesday, June 25th until Sunday, June 30th enter in a chance to win a Fat Quarter bundle of Gabrielle. 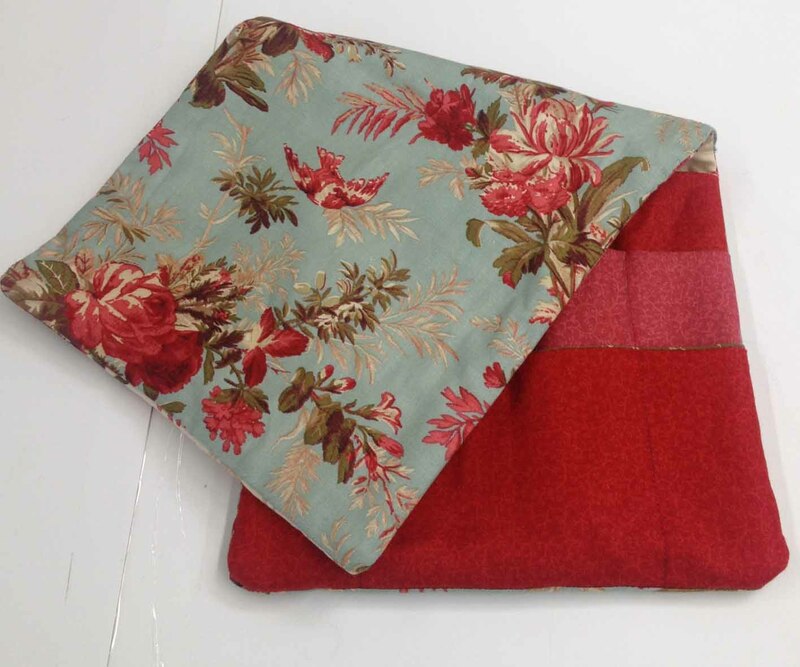 comment below on our blog telling us what you would make with the Gabrielle fabric collection. random drawing. Check our Facebook page on Monday, July 1st to see if you are the winner. ← Wallflowers Quilt Design Contest Begins Today!! I would make some throw pillows. I’d love to make a wedding ring quilt for my bed. I’ve worn out the quilt that is on there now. I would make something for ME! For MY room. Love these prints. Id make a medallion quilt. Thanks for the giveaway! I would use the fabric to make a throw for my den. I have some other fabric that would go divinely with this collection…I could make a really nice queen size quilt! Love the colors! 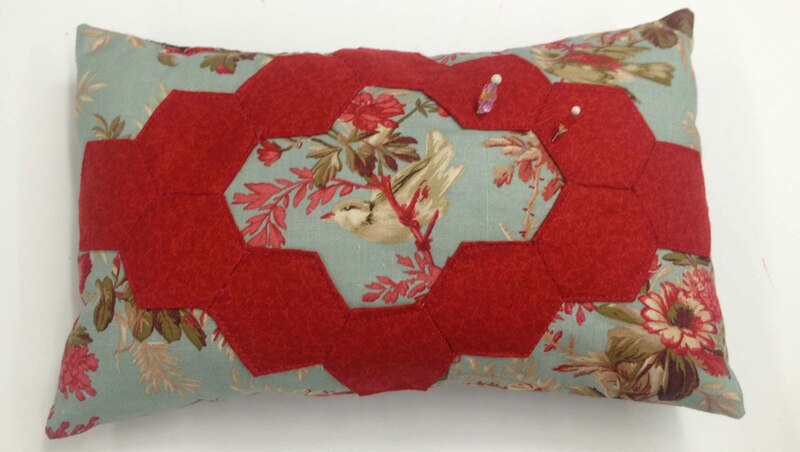 Pillows for my bedroom…beautiful fabric! As a relative new quilter, I haven’t tried many patterns. This collection is so elegant looking, I would have to do some pattern searching to find just the perfect one to use. There are many!! 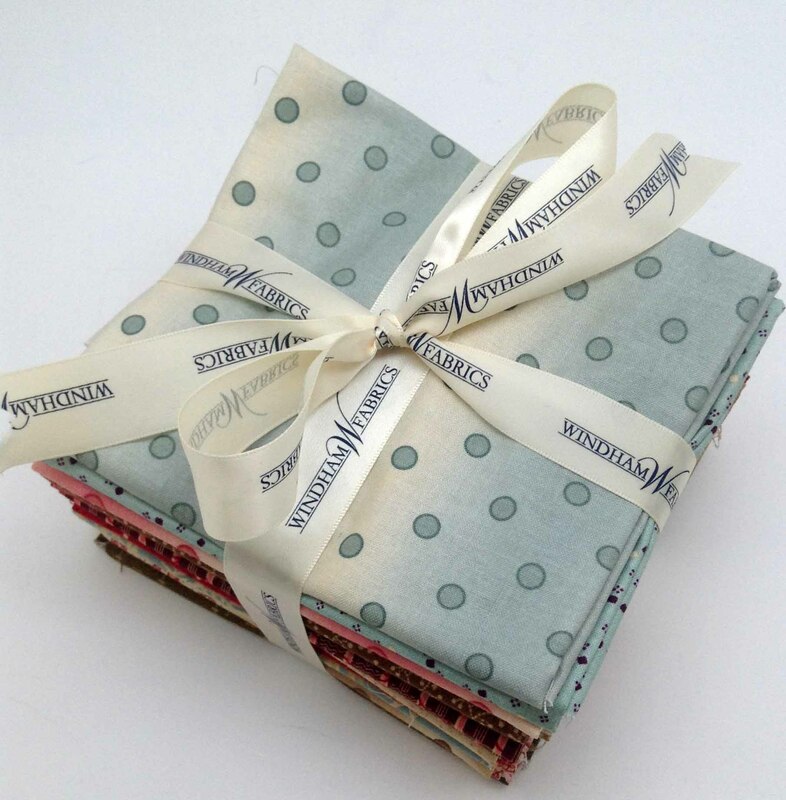 Thanks for the chance to win this beautiful fabric! I’d make a quilt for my grand-daughter, who will be a mother for the first time in September! Yippee! I’m going to be a Great Grandmother!!! I would make a table runner or two! Gorgeous fabrics! I would frame the Panel. My daughter loves history, so I am sure she would appreciate a quilt made from these fabrics. A duvet cover and matching pillows would be nice. Love the collection! Beautiful fabric! I would make a small wall quilt and mix it with squares of machine embroidery pieces. I would add this to some other fabrics to make a quilt for my bed. Beautiful! the fabric would be great for a miniature star block pattern…small florals…have a great quilting day..
i would make a lap quilt for a gift..
Lovely fabrics – I adore the color combination! I can see them becoming matching purses for my mom and I! I think it would make a beautiful quilt for my bedroom, using the bird print as the focal point. I would love to make a wall hanging. Yours is very pretty. Love the fabric, would make table runners or pillows. Beautiful as an accent fabric in a larger quilt. i’d feed my hexie adiction, cutting several sizes for several projects and then work up some small project kits to make up later for gifting. love, love, love collection bundles; they all go together so nicely! thanx for the chance to win this fabulous fabric. I’d make a pieced jacket to wear and I have just the right pattern to utilize. 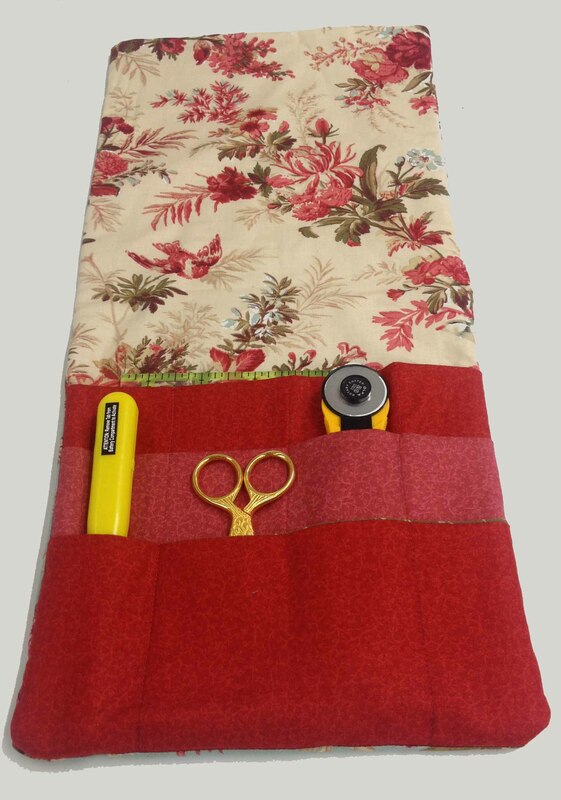 The sewing tool case is such a great idea! Just what I need to organize my stash! I’m a quilter so it would be a part of my next quilt. I absolutely love the fabric. I would use it in my living room/dining room. A table runner for sure or for a throw. Love the colors and patterns. I’d make a quilt with these fabrics. Love those birds. I would make a quilt for my aging mother in law. I love the florals! I would make a small quilt with matching pillows. I am learning to do log cabin quilts. 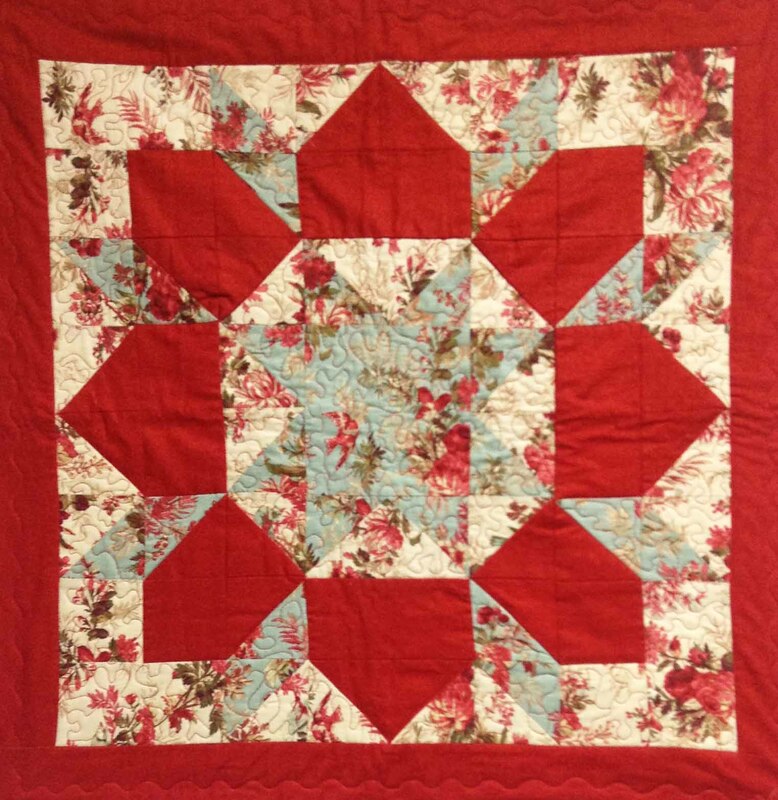 I have been quilting since 1970, but have only done ONE log cabin. I think this collection would be perfect for my next log cabin project. Perfect colors for my new home. So crisp and delicate. This collection has a very feminine and formal feel to it, so I think it would produce an excellent setting for the right quilted pet portrait for just the right person. I can see the grey/blue tones and florals working perfectly with a white Maltese or a grey Poodle, while the stronger red/coral tones would highlight the glossy black coat of a Schipperke. But then, who could resist a quilted Kitten set in a border with those birds around the flowered border? I just might need to start sketching the first cat quilt right away! 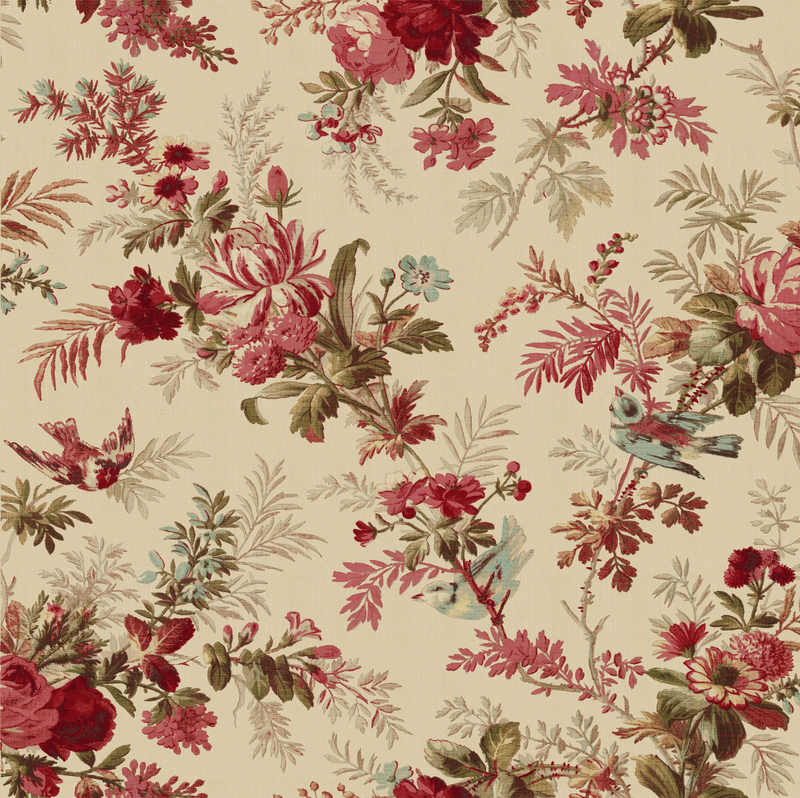 Gabrielle is a beautiful fabric collection. I’d make a table runner for my dining room table and coasters to match. I would love to use it in a quilt or a wall hanging! Thanks for the chance to win! The fabric is so pretty. Although it’s raining at the moment I’d love to make a picnic quilt!! I would love to make a quilt with it! Lovely fabrics! 🙂 Thank you for the chance. I would make a lap quilt and pillows for my living room.These materials coordinate very well with the color scheme in there.Love the colors and fabrics in this collection.Glad I found this article so I can start following Mary and her line of fabrics. I love that sewing caddy and I really need one bad so I would make me one with a matching sewing machine cover. 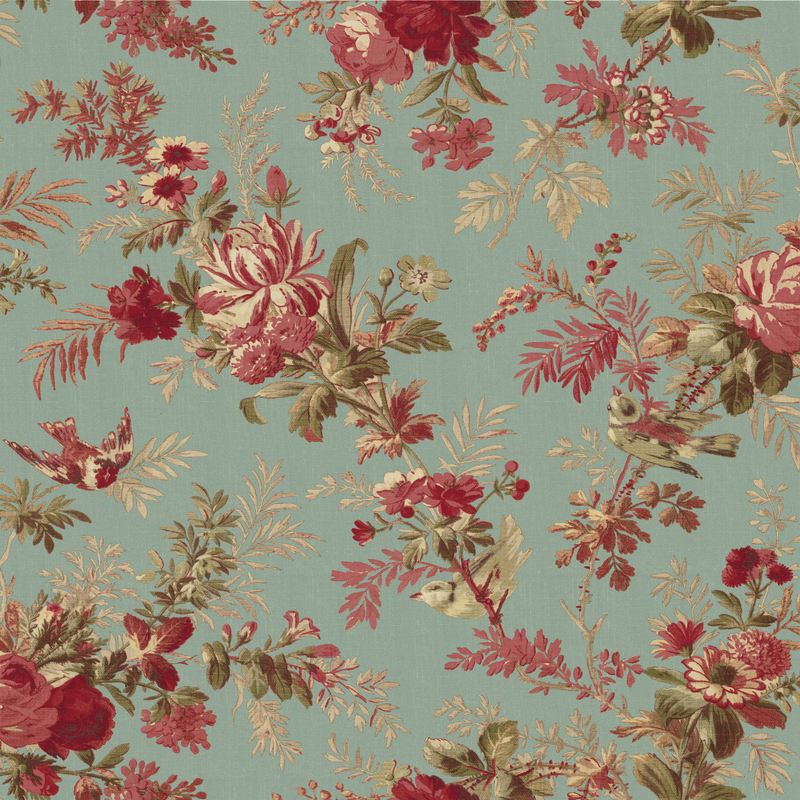 I have been waiting for this fabric collection ever since I saw it on my screen. I would love to use it to make gorgeous coordinated scissor case, needlecase, pincushion… and then nestle them in a quilter’s basket ! Wouldn’t it be most lovely ? I think I’d make myself a gorgeous new purse! Woohoo, I love that idea. I would make some kind of quilt. Beautiful fabric!! Congratulations Sandy Diehl you are the winner of the Gabrielle contest. 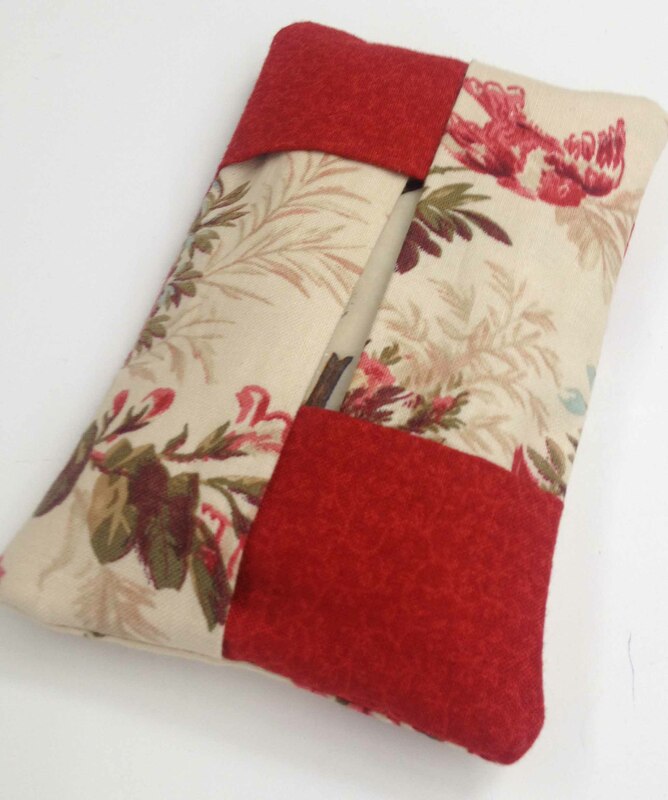 Please email your mailing address to jennifer@baumtextile.com and I will mail out your prize.